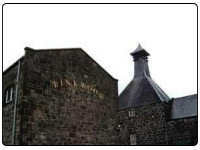 Linkwood Scotch Whisky Distillery was built in 1821 and is situated in the Speyside region of Scotland. The main single malt whisky it produces is the Linkwood 12 Year Old. The contact details for this distillery are Linkwood Distillery, Elgin, Morayshire, IV30 3RD and the contact telephone number is +44 (0)1343 547004.